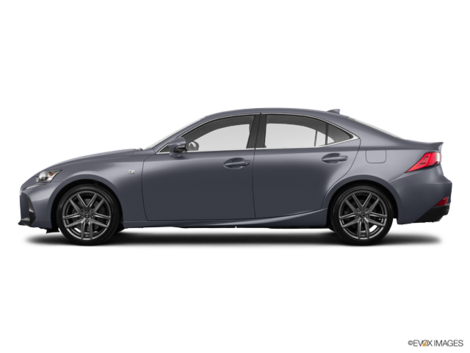 If we are looking for a luxurious midsize sedan that is above all incredibly comfortable, it is difficult to do better than the 2017 Lexus ES, one of the most refined cars in terms of road behavior currently available on the market. The 2017 Lexus ES is available starting at $ 43,300 and offers a range of versions including a hybrid model that combines luxury and fuel economy. We know we’ve said it a few times already, but the fact remains that the 2017 Lexus ES’ biggest selling point is certainly its comfort. When you are talking about the 2017 ES, you are talking about one of the best touring cars on the market right now. Close the door of the new ES, and you are in a haven of peace. Tire and road noise are virtually non-existent, and the ES simply feels planted and solid on every type of pavement. You can’t hear the engine, and the seats wrap you in their premium leather while the quality of the interior’s craftsmanship will surprise you every time you step inside your Lexus ES. 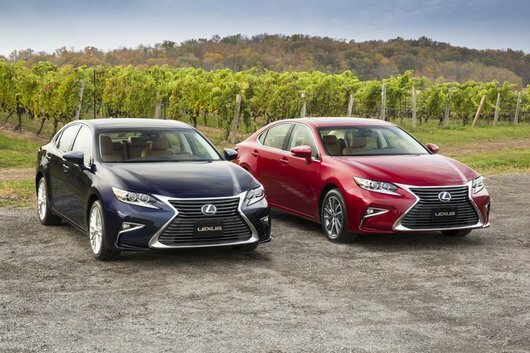 As stated earlier, the 2017 Lexus ES offers a choice of two engines starting with a 3.5-liter V6 engine that develops 268 horsepower and 248 pound-feet of torque. Combined with a six-speed automatic transmission, the ES 2017's V6 offers great performance. It's soft, but you'll never feel like you're running out of power and it can reach 100 km/h in just 5.7 seconds. If performance is of less interest to you than fuel economy, you can opt for the Lexus ES 300h hybrid engine that is available starting at $ 46,400. 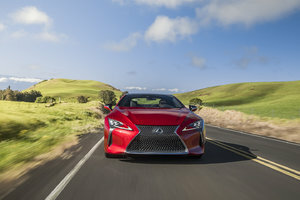 The Lexus ES 300h’s engine combines a 2.5-liter four-cylinder Atkinson cycle engine and an electric motor for a total output of 200 horsepower. 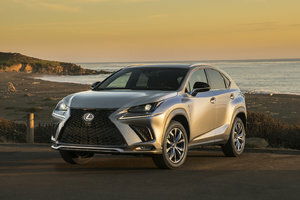 The average fuel consumption rating is set at only 5.8 liters per 100 kilometers on the highway and 6.1 liters per 100 kilometers in the city. With its comfort and soft ride, the 2017 Lexus ES really has a lot to offer. In addition, it offers two types of engines to meet every needs. 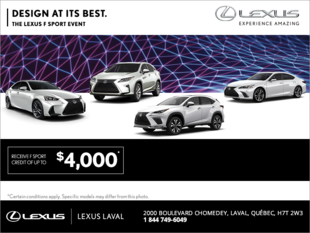 Come and discover the all-new 2017 Lexus ES today at Lexus Laval!